After a period of significant upheaval, the LGPS community is now becoming accustomed to the new environment and relationships are starting to settle down. But there is still lots to be done with more sub-funds to be set up and considerable assets to be transitioned. The 2019 LGC Investment Seminar will provide practical advice from pools and funds, insight on what's new in investment and greater opportunities to sense-check your priorities. 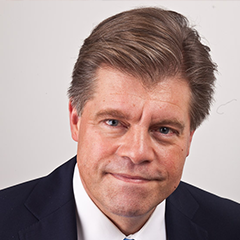 Andrew Rawnsley, Chief Political Commentator and Associate Editor of The Observer will join us to make sense of the current political turbulence. Now the pools are up and running, we can look to move the debate on by seeking ways in which the LGPS can capitalise on its strong financial position during uncertain economic times. At the 2019 LGC Investment Seminar, we will bring together a line-up of expert speakers to provide the latest thinking and information on what the focus should be. Our new innovations for 2019 include a round-table discussion session led by LGPS facilitators, where the audience can debate topical investment areas. For each local authority who attended the LGC Investment Summit in September 2018, we have allocated one free officer place per organisation including hotel accommodation for the LGC Investment Seminar on 28 February - 1 March 2019. The most important names in the LGPS will update the audience about the hot topics on their agenda. Over 6 hours of networking are built into the programme for delegates to catch up with peers, partners and fund managers across the community. Participate in interactive workshops and discussion sessions where attendees debate and offer their views.